Community Clothing has produced the 20-piece Full English collection for the high street giants – with its Breton top in particular flying off the shelves. Like all Community Clothing products, the collection has been produced in UK factories in the down time between the fashion seasons. This keeps the factories busy year-round to help reverse years of economic decline. 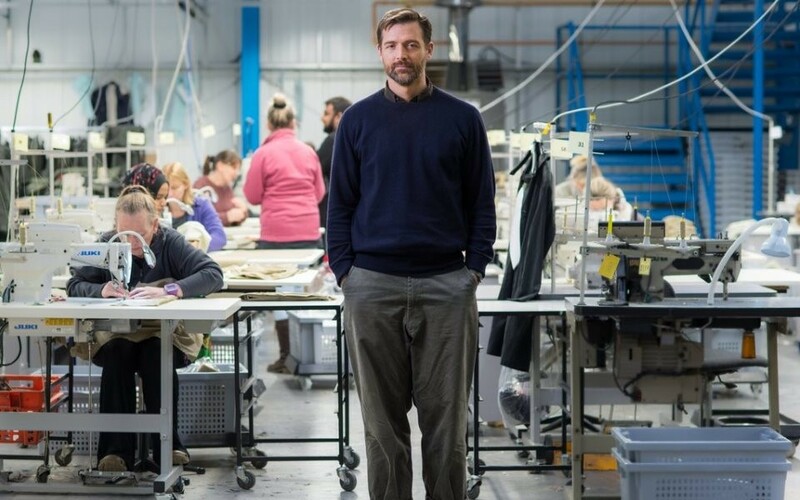 Topshop and Topman have played a massive role in supporting UK creative talent over recent years, so it’s great that they’re now putting their weight behind supporting UK manufacturing. Launching Community Clothing’s Full English range is giving our social enterprise a massive boost. We couldn’t be more excited. Community Clothing, which has a shop in Lord Street West, Blackburn, is a manufacturers’ cooperative which aims to make excellent quality, affordable clothes for men and women, create jobs for skilled workers and help to restore pride in Britain’s textile communities. Its Full English collection is sold exclusively in the Topshop Topman flagship store on Oxford Circus and online at Topshop.com. Prices range from £27 to £109. Blackburn with Darwen Council worked with Patrick to find a property for the Community Clothing shop in Blackburn. Community Clothing is really important in the regeneration of Blackburn. Not only is it helping to put the town on the map but it is helping to create job opportunities and stability in the textile industry which, for so long, was the heartbeat of manufacturing in Blackburn. Attracting and working with exciting businesses like Community Clothing is a priority for the council. It is part of our commitment to make Blackburn town centre a vibrant place for people to shop and visit and we are pleased that Top Shop has also recognised what Community Clothing has to offer.